Tasma Terrace is the headquarters of the National Trust of Australia (Vic) and was built in the 1870s and 1880s. The first three buildings in the terrace, originally known as Parliament Place, were built for George Nipper, a wealthy grain merchant and shipowner. In 1979 the facade was restored to its 19th century appearance. 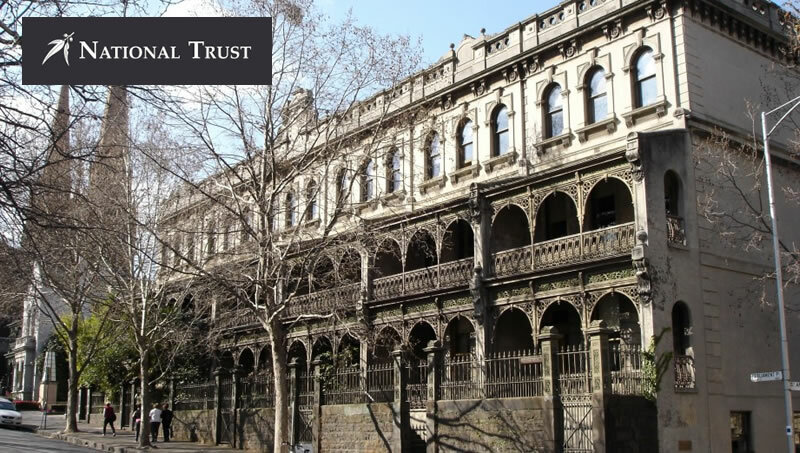 It is believed that the restoration work at Tasma was the first serious attempt to accurately restore the exterior paint colours of a 19th building in Victoria by undertaking paint scrapings.